Is Honda losing its edge? Honda is getting busy, going into the holidays, offering automotive journalists a sneak preview of its most important product launch of the coming year. The rendering of the all-new, 2012 Civic reveals a sleekly aerodynamic coupe, one Honda hopes will catch the eye of buyers in an increasingly competitive compact car market. Critics say the Japanese automaker may be losing its edge, and so the ninth generation of the Civic is going to be critical to Honda’s future success. Scheduled to make its first formal appearance at next month’s Detroit Auto Show, the Civic has long been — along with the bigger Accord — the foundation of the Honda brand. And even as it approaches the end of its life cycle, Civic remains the 11th-best-selling vehicle in the U.S. market. Though Honda has significantly expanded its line-up in recent years, its newer models — both in the mainstream Honda and upscale Acura brands — have proved less than stellar successes, leaving many observers wondering whether the maker has lost its way. At first blush, that comment might come as a surprise. After all, the automaker posted a 16.1 percent sales increase in November, in sharp contrast to the decline reported by arch-rival Toyota. For the year-to-date, American Honda sales — which include the Acura division — total 1.101 million, up from 1.044 million during the first 11 months of 2009. But it only requires parsing the numbers a bit to see what's causing Peterson and other analysts concern. Much of the recent sales surge is the result of the re-launched 2011 Honda Odyssey minivan, and to a lesser degree old-line models like the Civic, the Accord and, on the Acura side, the entry-level TSX. But some of Honda’s more recent additions have either come in short of expectations or proved downright disasters. There’s no better example than the Acura ZDX, a quirky coupe/crossover blend that has been much-maligned by the automotive media and largely ignored by potential buyers. November sales totaled just 156, with year-to-date volume of 3,006. The new Honda Insight, which was supposed to help the carmaker regain its early strength in the hybrid-electric vehicle segment, has also been a disappointment, selling at little more than a fraction of the anticipated rate. Analysts also have questioned the market performance of Honda’s other new hybrid, the sporty CR-Z, though company officials challenge that criticism. “It’s doing well according to our expectations, though journalists think it should sell” much better, said Steve Center, American Honda’s national marketing director. Center acknowledges there are some challenges facing Honda, though he points to the maker’s overall market performance as proof positive it is still doing well. If anything, its double-digit gain in November validates the maker’s decision to go light on its marketing budget, which lags competitors like Toyota in spending on both advertising and incentives. The Honda executive also points to a curious quirk in Honda’s historical performance in the American market. “In bad years, our share increases and in good years, it declines,” reflecting Honda’s policy of not trying to overbuild and force cars onto the market, even if that means occasionally being short of supply at the showroom level, he said. Ironically, Honda has often done better in down markets than when the auto industry is in growth mode. Is Honda just following that pattern now? Peterson and other analysts aren’t so certain. The weak performance of new models is troubling and could point to problems with more mainstream offerings, warns Joe Phillippi, of AutoTrends Consulting. The reaction to the new Civic, he suggests, will be a clear measure of what many believe is a misfiring design department. “Their styling has gotten totally off-track,” contends Phillippi, pointing not only to the ZDX but also to the quirky look of the new Odyssey minivan, with its oddly-angled rear side windows. But Acura has other problems. It hasn’t regained its footing after a decision, some years ago, to abandon well-known brand names, like Legend, in favor of less distinctive names like TSX, RL and ZDX. The brand's difficulty defining itself compounds that issue. In recent years, even senior officials have questioned whether Acura is a luxury brand, after all. As for the Honda side, the automaker is taking efforts to shore up weak offerings. The CR-Z, for example, will soon get a conventional powertrain to accompany the hybrid version, for example. 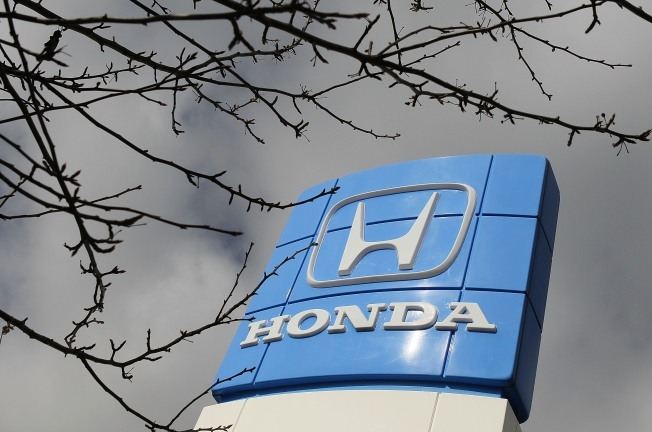 “Their engineering still turns people on,” said Phillippi, who believes the automaker can recover from its current problems — especially the mainstream Honda brand. One reason for that optimism is research by Experian Automotive showing Honda doing better than any other brand in picking up customers walking away from Toyota — still troubled by its ongoing safety and quality problems. That could help Honda weather its own, less violent storm while it struggles to reconnect with the market. The response to the new Civic will be the first test of whether it is getting back on track.